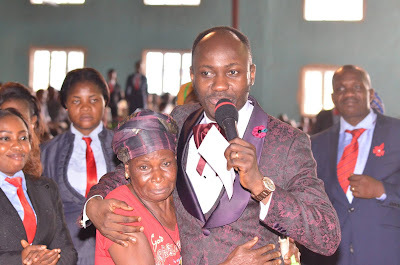 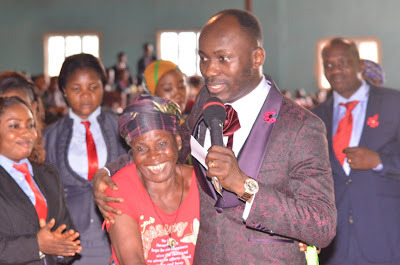 Senior Pastor of Omega Fire Ministries, Apostle Johnson Suleman, yesterday placed a 73 year old woman he met while preaching in his church, on a N50,000 lifetime salary. 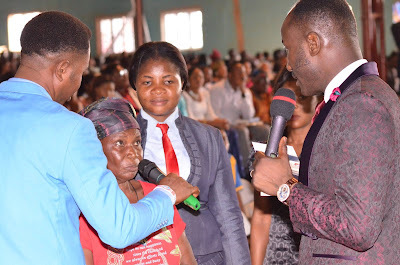 He was delivering his sermon for the day when upon inquiry, he discovered that at her age, she was still breaking and selling firewood. 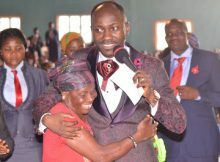 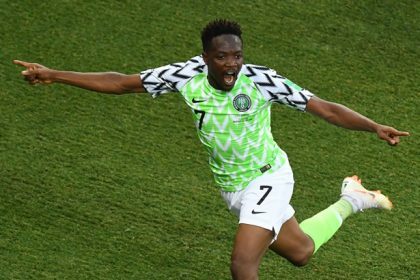 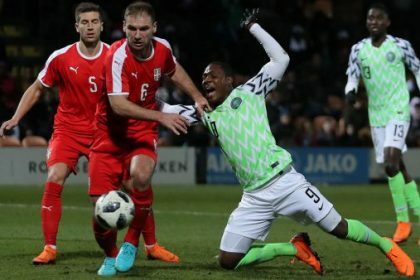 Showing sympathy, he asked her to stop immediately as he would henceforth be sending her N50,000 monthly for her upkeep.